Kaolin clay producer Tellus Holdings has awarded a $50 million contract to GR Engineering Services for its Sandy Ridge facility in Western Australia, less than two weeks after receiving Australian Government approval. 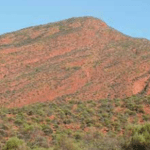 Sandy Ridge is a kaolin mining operation 240 kilometres north-west of Kalgoorlie. Its proposed waste facility is fully-integrated with the long-term storage, recovery and permanent isolation of hazardous and intractable waste. GR Engineering’s scope of work includes the engineering, procurement, construction (EPC) and commissioning of the waste cell infrastructure, access roads, raw water supply and other key infrastructure of the waste facility. The work will be carried out in two stages, with stage one expected to commence in the coming weeks, subject to Tellus’ proposed financing facilities. It includes engineering, design and long lead procurement activities for the works. 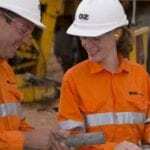 The Sandy Ridge project received its approval from the Australian Government on January 9 this year, which paves Tellus’s way to obtaining the next works approval and operating licenses. GR Engineering has been involved in Sandy Ridge’s progress to date, including its feasibility study and preliminary design work. 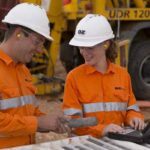 “Delivery of the project will enable GR Engineering to leverage its skillset in an innovative manner and diversity its industry exposures in a familiar location,” GR Engineering managing director Geoff Jones said. Tellus expects to create up to 100 jobs during the construction phase of the project and 80 at peak operational manning. “The facility provides much needed sustainable infrastructure that can assist in ‘cleaning up country’,” van der Merwe said.